Stefanie Thelaner continues to be one of the top cross-country runners for the Trojans. This will be her senior year and she is ranked 18th in the state in the 5,000 meter course in Division 1-A, and is 4th in Southern Nevada with her best time last year of 21:09.0. Thelaner has been running since the sixth grade. She said her sixth-grade coach persuaded her to tackle long distance running and she has liked it ever since. The girl loves to race. Before a race, she does not get nervous. “I love competing. It’s more of an attitude I have that I am going to bury these people in the ground right now. You have to show you are going to stand your ground,” Thelaner said. Her father, Brian Thelaner has been her long-time coach. Dad is the coach she listens to the most. When all the other coaches were telling her she was fine, he was the one saying otherwise. He’s blunt, tells the truth and he pushes her to be the best. She respects him for that. During the summer, she has been training every day for the cross country season by running six to seven miles a day. Brian would take his bike out and Stefanie would run behind him. When Brian is not training his daughter, he trains Mixed Martial Arts fighters. “Stefanie was doing MMA stuff and she would do the training with the MMA fighters. She was so good at running because of the cross training. At her peak, she would do this three nights a week,” he said. The martial arts all started because of a bullying incident in eighth grade at Rosemary Clarke he said. She has not stopped with the martial arts training since middle school. At one point, Stefanie even wanted to be an MMA fighter and wrestled her freshman year. Over the years she has taken Jiu-Jitsu and Muay Thai. She fears no one. She holds a white belt in Jiu-Jitsu and a yellow in Muay Thai. “She is my all-time favorite fighter,” Stefanie said. She likes Ronda because she has feminine features and she is really tough and a beautiful person, too. “You don’t have to be a man to fight. She shows women can fight and get their nails done, too,” Stefanie said. 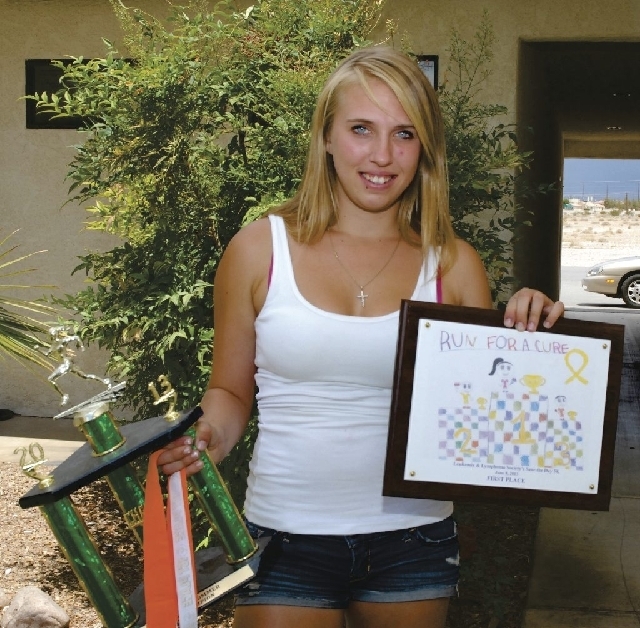 Stefanie has even trained with Pahrump’s MMA fighter Brandon Schneider and likes what she sees and believes he has a lot of potential. She has been to two of his fights. Cross country is her sport. She does run track, but likes the longer distances in cross country. She prefers running long distances outside of a circular track. Her dislike of running in a circle is reflected in her track results. She did not make the top 10 in state in the 1,600-meter or the 3,200-meter. In track, she is ranked 11th in state in Division 1-A with a time of 12:45.62 in the 3,200-meter. The young runner and fighter is a lone wolf and really does not care what others think about her. She is her own person. She does what she has to do, goes to school, goes to practice and then goes home or to work. She has friends but her lifestyle is busy. Animals fill the void, where people fail. In her off time, she works up to 12 hours a day at an animal shelter on the south side of town. She believes she is really good with dogs. “I work with animals because I can’t have any more animals at home, and at the animal rescue I can have all the puppies I can play with. I worked with Rottweilers and found I was really good with dogs. I handle dogs that other trainers won’t handle. I relate to dogs better than people. I have been working at the shelter since I was 12,” the young runner said. Her favorite dog is her own pit bull, a dog she rescued from a friend who went to college. Both parents work in the law enforcement community. Dad works as a court bailiff, and mom works in probation. Her parents have inspired her to work in law enforcement too. Her love of dogs has steered her towards working as a K-9 officer. After graduation, Stefanie hopes to move to Wisconsin to be with family and possibly attend college.